The Studio Upstairs is celebrating the expansion of our3-D Stereoscopic post facility with the installation of a 4K Stereo DI Theatre. As a division of Creative Post, one of Canada’s leading post production companies for over 25 years, we continue to offer advanced technologies and workflows to broadcasters and filmmakers today. 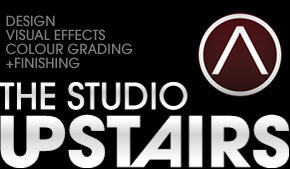 The Studio Upstairs 3-D Stereoscopic facility includes Quantel’s 3-D Pablo 4K non-linear mastering system, complete DCM & DCP mastering, 3-D dailies & screening services, Avid & FCP 3-D editorial suites, as well as an experienced team of stereoscopic VFX artists. Ken MacNeil, president and co-owner of the Creative Post group of companies is also a consultant to producers and directors looking to shoot 3-D Stereo features. As a leading expert in the industry, he and his team of experienced professionals provide full-service production to clients in North America, Europe and the world over.